In part I of Lessons Learned After Twenty Years of Real Estate Investing, we looked at the impact of timing, location, property management and due diligence in selecting a successful investment property. Today, we’ll look at real world examples regarding the impact of leverage, cash flow, price appreciation, capital gains deferment and the tax treatment of investing in real property. A solid grasp of the above is essential for investing successfully in real estate. In financing, the term “leverage” means using borrowed money to buy an asset (i.e. financing a purchase). In other words, you are using other people’s money (OPM) to make a purchase. In return, the borrower must pay back the loan, plus interest over a period of time. The reason leverage is very important is because you can invest beyond your limited financial resources. For example, if you don’t have enough savings to pay cash for a $100,000 property, you can still buy that same property by borrowing money from a lender. Essentially, leverage stretches your ability to acquire things you couldn’t otherwise afford. In most developed economies, consumers finance everything from properties to cars, home appliances, computers and even education. In fact, access to financing is considered one of the key factors in wealth creation and upward mobility in capitalist societies. Real World Example: Back in the good old days, an investor bought a $200,000 multifamily property using only $40,000 of his own money. He borrowed the remaining $160,000 from a mortgage lender. About 6-years later, the investor sold the property for $590,000. Therefore, the investor’s capital gain was $390,000 (Sales Price of $590,000 – Purchase Price of $200,000 = Gain of $390,000). While the $390,000 gain was great, what was really impressive was the investor’s rate of return on his own money (the $40,000 down payment). If another investor had actually paid $200,000 in cash for the property, they would have almost tripled their money. However, by only putting $40,000 down, our investor’s return was nearly tenfold. Now, there were multiple other expenses involved in this investment such as repairs to the property, brokerage commissions, evictions, recaptured depreciation, etc. However, the important thing here is to underscore the role of leverage in magnifying the return of your actual investment. Simply put, cash flow is the difference between revenue and expenses. If your revenues are greater than your expenses, you have positive cash flow. If not, you have negative cash flow. The key to positive cash flow is to increase revenue, while minimizing expenses. Typically, you want to be able to control your fixed revenues and expenses. The wildcard are the variable items, especially repairs and maintenance. 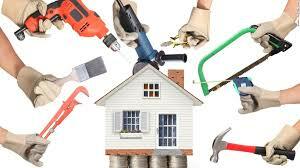 The more rental units in a property, the more you can expect the cost of repairs and maintenance to vary. Real estate investors are strongly encouraged to either know how to do some work themselves, or have an honest property manager or licensed contractor or handyman to perform the repairs and maintenance on their behalf. For example, changing a door lock may cost an owner about $50 (assuming his time is free). On the other hand, a handyman may do the same job for $75 (assuming a $25 per hour rate). However, a locksmith may charge $125 or more (assuming a $75 per hour rate). Therefore, you have a wide range of prices for the exact same simple task. Remember, cash flow indicates how profitable operating an investment property is. Price appreciation (or capital gain) is not the same thing as profit. While price appreciation is the difference between purchase price and sales price, profit factors in other items such as commissions, taxes, depreciation, etc. Over the long run, two things combined make real estate investing very lucrative. On the one hand, by making mortgage payments, investors are partially paying off part of their loan (loan principal) every month. On the other hand, real property typically appreciates over the long term. Therefore, the size of the loan (liability) goes down, while the value of the property (asset) goes up, resulting in a larger gain/profit. Real World Example: The investor above who made $390,000 couldn’t find a suitable replacement property to do a 1031 Exchange and avoid paying capital gains taxes. Therefore, after paying capital gains taxes, brokerage commissions, escrow fees, etc. the investor’s profit was only about $245,000. Still not bad for an investment of $40,000, but significantly less than the $390,000 price appreciation of the property. Remember, price appreciation is not the same as profit. Anytime you make a gain from something, the government wants to get a part of it. This is the case regardless of whether you invested in real estate, commodities, automobiles, businesses, etc. As they say, the only things that are certain in life are death and taxes. However, a major benefit of investing in real estate is the possibility of deferring payment of capital gains taxes. The requirements for a capital gains tax deferment are spelled out in section 1031 of the U.S. Internal Revenue Code. Basically, the 1031 Exchange allows investors to defer paying taxes on capital gains if they exchange the capital gain proceeds into another “like-kind” property (i.e. another investment property). There are no limits on the number of times or frequency you can do a 1031 exchange. This allows your investment to continue to grow tax deferred. Basically, many investors keep “exchanging-up”, thereby growing the value of their real estate investments. Timeline: After selling a property, an investor has 45-days to identify possible replacement properties that are equal or greater in value than the property they sold. The investor has a maximum of 180 days total from the date they sold their property to complete the acquisition (i.e. close escrow) on the replacement property. Like-Kind Property: If you sell an investment property, then the replacement property must also be a property purchased as an investment. You cannot sell an investment property and exchange the proceeds into a primary home you plan on residing in. The opposite is also true, you cannot sell a primary residence and exchange the funds into an investment property. Equal or Greater Value: If you sell a $400,000 property, then your replacement property must be at least $400,000 to qualify for an exchange. You can add more money to the exchange. However, you cannot exchange down. Qualified Intermediary: The exchange must be facilitated through a qualified intermediary. The qualified intermediary is an independent 3rd party, who holds the sales proceeds and purchases the replacement property on your behalf. You do not get the money directly into your account. Partial Exchange of Funds: If you decide you want to take some of the money out (cash-out), then you must pay taxes on the portion you cashed-out. The part of the gain that was not exchanged is referred to as “boot”. For example, if you make a $200,000 gain and you decide to use only $150,000 to exchange into another property, you must pay taxes on the $50,000 you decided to take out. Real World Example: An investor started out buying dilapidated single family homes as rental investments. The investor kept using 1031 Exchanges to defer his taxes and invest the proceeds larger multifamily properties and then to office buildings, creating a solid cash flow model and realizing a comfortable retirement within 20 years. Remember, 1031 exchanges allow investors to trade up the real estate value chain. There are many tax benefits to owning real estate investments, including tax write-offs, depreciation and carry forward losses. The following is a very broad and general coverage of tax benefits available to real estate investors. However, each investor should consult their CPA or tax specialist for more specific information. This is not tax advice. Write-offs: Real estate investors can typically write-off several expenses. It is critical for investors to be organized and maintain files, receipts and statements related to the expenses they are writing-off. Legal and Professional Services: Property management fees, etc. Carry Forward Losses: If you own more than one investment property and you are reporting an operating loss on one of the properties, you maybe able to write off the loss against the gain from another property. If the grand total of all your passive activity (i.e. real estate investment income) is a loss, you have to carry it forward as to such time that you sell the asset or realize enough passive gains. Depreciation: Depreciation allows investors to deduct/spread out the cost of buying the property over a period of many years, thereby reducing each year’s tax obligation. However, if an investor depreciates a property and then sells it for more than its depreciated value, they will owe tax on that gain through the depreciation recapture tax. Remember, tax write-offs, carry forward losses and depreciation. There’s more to real estate investing than buying and selling. Investors are encouraged to understand the different facets of investing, including timing, location, management and due diligence. Additionally, investors should have a basic knowledge of the financial concepts of real estate investments, including price appreciation, cash flow and tax benefits.